In the last decades, the software testing techniques and methods have changed in a great deal. The advent of Agile and DevOps methodologies enables the software development industries to carry out the testing and checking process at an earlier stage. The quality Assurance professionals have to adapt these latest trends to stay updated in the software testing industry. The Software testing training courses gives hand to the people who need hands-on training in the latest techniques of software testing. This article summarizes the software testing trends and its future that may change the phase of software testing. Agile methodology is one of the traditional approaches that are used in the software testing process. This methodology enables the testers to work in a small team and complete the tasks in fragments resulting in continuous delivery. The latest practices based on Agile Manifesto can provide the best user experience and helps in planning, execution, and evaluation. Internet of Things (IoT) is one of the latest technologies that are widely accepted in every sector of the world. IoT has more impact in software testing industries and it is a great challenge for test automation. Performance testing- Test the performance of the connected devices in an IoT network. In big data, the users or clients upload a huge amount of data and managing these data is not easier one. So, the tester must follow an ideal approach to testing verify the terabytes of data with various testing tools to produce the result successfully. The main aim of the big data testing is to test the quality of data at first and then focus on performance testing and functional testing. The quality of the data is verified based on various characteristics like accuracy, validity, duplication, consistency, data completeness and still more. The traditional Quality Assurance (QA) follows the traditional waterfall approach for testing which is a step by step process however it is a lengthy one. This seems to be more difficult for QAs to keep up the changing dynamics in the testing field. As the waterfall approach is a step-by-step process the further process will be continued only when the previous step is completely done. When you move from QA to Quality Engineering you carry out the testing and automation process at the beginning state. Performance engineering is an effective testing technique which is expected that it will replace the performance testing in the upcoming years. In this technique, more focus will be given in analyzing the elements of the system than executing the test scripts. The various elements of the system are performance, security, hardware, software, configuration, usability; business value. You can adapt the performance engineering in your software testing as it will meet the expectations of the customer in the future. DevOps is a common term used for a certain set of rules or principles in order to reduce the amount of time from development to operations. The testing team undergoes test design, test development, test automation with DevOps to verify the changes in code. It is expected that many organizations will be adopting these set of rules to improve the performance as it has importance on automation and integration process. If you want to be well versed in this testing process you can take the automation testing training courses in your locality. Open source tools will play a vital role in the forthcoming years as they can yield more benefits for business. There are many advantages in using open source tools such as easy to use, cost and availability to the public. Also, these tools are designed in such a way to customized easily and more flexible to use. So the users can have their own design and there is much integration for powerful test automation. 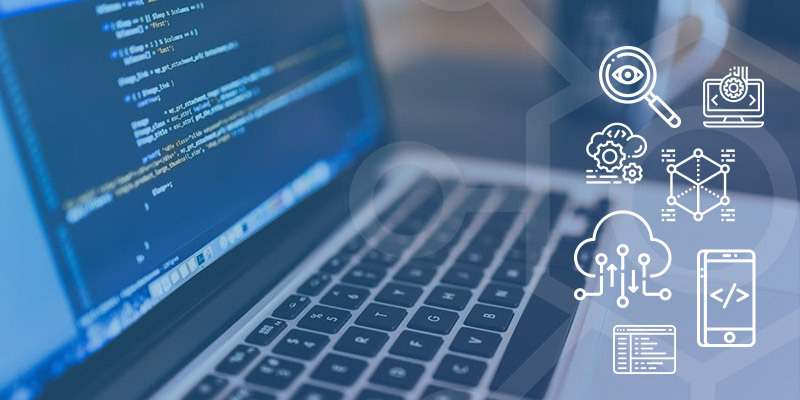 In these days, the emergence of new technologies, devices, and platform leads to a great pressure for the software development team to deliver the product faster. In such a situation, the testing process can be integrated with the development team to boost up the speed of delivery. The delivery process can be increased by investing more in testing tools. When you make use of these test management tools you can reduce the delivery cycle. Thus, these are the software testing trends and future that will be used in the business. If you are looking for a career in the testing sector you can attend the training on Software testing in Kerala and grab the reputed job earlier.